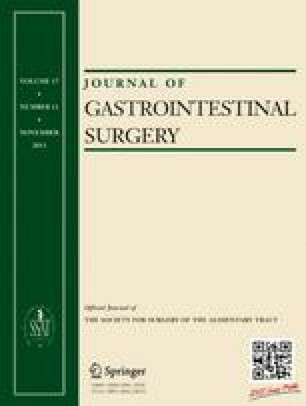 We tested three hypotheses: (1) blacks with pancreatic cancer are recommended surgical resection less often than whites; (2) when recommended surgical resection, blacks refuse surgery more often than whites; and lastly, (3) racial differences in refusal of surgical resection have decreased over time. A retrospective cohort study was conducted on patients with potentially resectable, nonmetastatic pancreatic adenocarcinoma of the Surveillance, Epidemiology, and End Results registry from 1988 to 2009. Univariate and multivariable logistic regression analyses were performed to assess whether differences in the proportion of whites versus blacks refusing surgery among patients recommended for resection changed over time. A total of 35,944 patients were included; most were white (87.6 %). After adjusting for covariates including tumor stage, pancreatic cancer resection was less often recommended to and performed in blacks compared with whites (adjusted odds ratio (aOR) 0.88, 95 % confidence interval (CI) 0.82–0.95; aOR 0.83, 95 % CI 0.76–0.91, respectively). Blacks also underwent surgical resection less often when surgery was recommended (aOR 0.73, 95 % CI 0.64–0.85). Racial disparities in surgery recommendation and its performance did not decrease from 1988 to 2009. In multivariable adjusted analyses, blacks refused surgery more often when it was recommended (aOR in 1988 4.75, 95 % CI 2.51–9.01); this disparity decreased over time (aOR 0.93 per year, 95 % CI 0.89–0.97). Although racial disparities in pancreatic cancer surgery refusal have diminished over the past two decades, significant disparities in the recommendation and performance of surgery persist. It is likely that both provider- and patient-level factors have a substantial impact on surgery recommendation and its acceptance. The identification of such factors is critical to design a framework for eliminating disparities in cancer-directed surgery for pancreatic cancer.